To protect the expansive, public-facing presence of SUNY Delhi College, Scott May uses Sentinel Outpost as the first line of defense in an integrated, layered approach to network security. 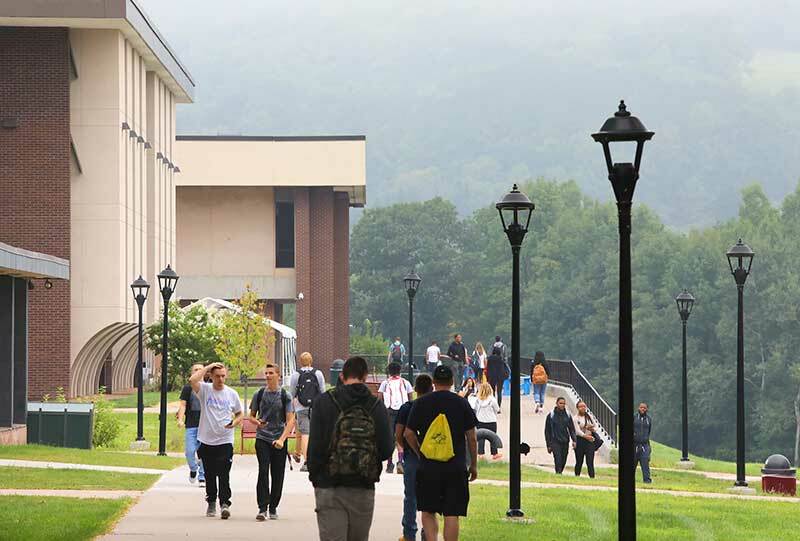 Just three and a half hours from New York City, in the foothills of the Catskill Mountains, State University of New York (SUNY) Delhi College transforms lives every day. This innovative institute of higher education is known for its small class sizes and myriad areas of study—ranging from Veterinary Technology to Golf Course Management, and everything in between. Like most universities, SUNY Delhi has an expansive, public-facing Internet presence, with more than 65,000 public IP addresses. With such a large attack surface, network security becomes a delicate balance between keeping the network safe and still meeting the needs of the faculty, university staff and student population. Although, as a state agency, SUNY Delhi’s payroll and budgeting systems are centralized on a different network through the state, May is the college’s reputational gatekeeper—protecting donor and student information, as well preventing hackers from falsifying grades, transcripts or even pirating lunch cards. After all, what student wouldn’t want to erase something embarrassing they did on campus surveillance if allowed access. To protect the network without negatively impacting legitimate access, May has long taken a layered, “onion approach” to security. “The IPS is the exterior-facing device that blocks the bulk of the ‘bad guy’ traffic. The firewall then enforces some rules. The third layer is packet shaping technology to manage the flow of the legitimate traffic that’s left over. Basically, it de-prioritizes things like Netflix traffic when I have people trying to teach classes and use Internet resources,” May explained. May first learned about Sentinel at a technology conference, about four years ago. He was intrigued, but a little skeptical. It took two years for May to finally give Sentinel a try. SUNY Delhi has been a Sentinel customer ever since. According to May, Sentinel not only costs the SUNY Delhi College less money, but offers better network protection than the solution the institution used before. From a service and support aspect, May couldn’t be happier. Because Sentinel is a managed service provider, May no longer has to worry about budgeting for IPS hardware updates. Although firewalls have gotten more sophisticated, May is a big believer in “the separation of duties” when it comes to security, regardless of how sophisticated the firewall might be. For him, one provider or one next-gen solution just can’t protect a network as well as multiple solutions, each focused on one job. Although May had been pleased with the visibility and protection Sentinel delivered to SUNY Delhi from the onset, there was a pivotal moment when he knew the solution was “head and shoulders” above the rest. The SOC group was evidently impressed as well. They ended up purchasing two Sentinels to cover their own network. In 2018 alone, Sentinel thwarted more than 13 thousand inbound exploit attempts and almost 10 million inbound scans, as well as issuing more than 3,000 alerts on malware beaconing outbound. And that’s exactly how May—with a little help from Sentinel—plans to keep it. From the Fortune 100 to small rural towns, we help understaffed and overworked IT teams solve their network security problems.